Simple Ways to Conserve Energy. Beginning with the energy crisis of the 1970’s, designers have been designing for energy conservation. Since then, “green” design has meant minimizing your building’s carbon footprint by using less energy, less water, avoiding waste, and creating a healthy building to occupy. As architects, we deal with this every day. We review the basics with our clients and point them in the right direction. Ultimately it is the client’s choice to decide which energy-saving efforts they want to incorporate into their building design. Building owners can easily select green goals by creating a list and then order the list according to cost to build vs. payback time. Start with the easiest, cheapest, and most effective items (like spray foam around junction boxes), and work as far down the list of options as you can afford. Select building products that have a successful track record. Work with nature and not against it. Maximize natural light and solar warmth. Consider natural buffers against prevailing wind patterns. Minimize water run-off by limiting the amount of pavement covering your land. Use energy efficient boilers, furnaces, heat pumps, air conditioners, water heaters, appliances and light bulbs. Insulate walls, doors, windows, floors, and ceilings. Select synthetic flooring and carpets made from recycled materials. Specify glues, coatings, stains, paints, and caulks that don’t outgas toxins. Buy local materials to minimize shipping and support your local economy. The list is simple and full of straightforward ideas that are easy to comprehend. According to the AIA, “for larger buildings, energy modeling fees tend to be dwarfed by uncovered reductions in construction cost and energy cost.” So if you need to justify the costs of these items to your organization, you will need to hire energy modeling services from engineers and cost budgets from estimators to quantify the amount of energy that a building will save along with the costs associated and the payback period. 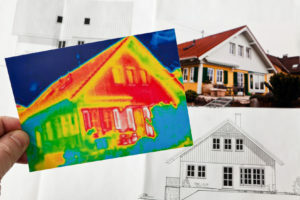 Engineers can be very accurate, but be aware that you will have to spend money on professional services to prove that you will save money on energy savings. Unless there is a specific accountability requirement, it can be just as effective to go with the simple ways to conserve energy list. They are known systems that are tried and true.